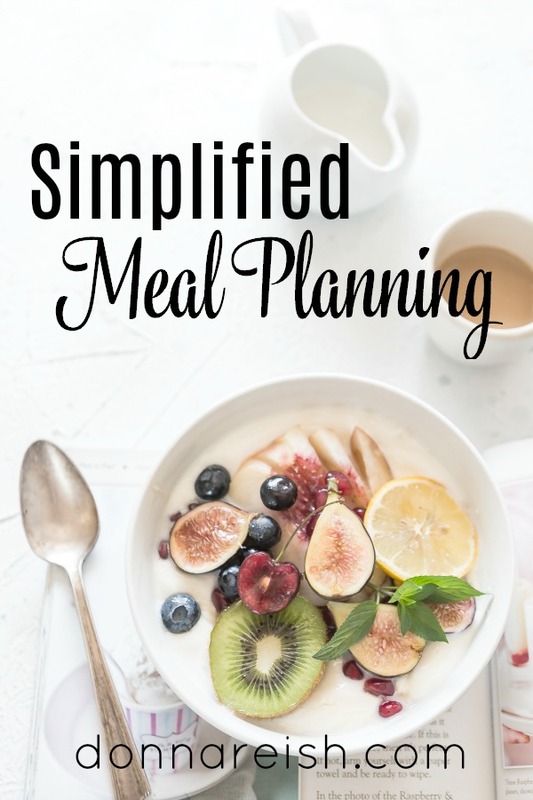 In this audio, I described how my original freezer cooking, in which I plugged all of my entrees into categories (based on meat types), led me to look at meal planning in a more simplified way. I made my master list of most of the entrees that I fix under each category, and then I can see what meats are on sale, scan my master entrée list, and choose meals to make. One of the key concepts that Organizing Wizard teaches in her courses (and one that I have been trying to teach long before I heard of her great products in my workshops for moms) is that we often spend too much time thinking about what we want to do. We can spend a great deal of time on decisions and things that should really be decided quickly and decisively. This will free up our brains for the headier decisions—and make those things we do over and over again (prepare dinner, for example) happen more quickly. When we learn to think quickly about those activities and tasks that are repeating in our lives, we make them smaller. That is, they do not remain so large and daunting. I have found this to be true over and over again as I have put systems in place, made quick decisions, etc., on things like Daily Tasks, menu planning, and more. So, once again, I am going to give you those lists and encourage you to spend an hour or so making your own. You can even write them on large sticky notes (one sticky per meat) and place them on the inside of your kitchen cupboards and add to it as you think of more dishes that you make (or used to make). 1. What meats (and in what form of the meats) do you regularly use in your meals? 2. How can these be “grouped” (either for thinking purposes or for preparing bulk entrees for the freezer)? 3. Make a master list of things that you EVER make from various meats, print it, and tape it to the inside of a kitchen cabinet or on the fridge in a sheet protector. You want this handy!